On The Company, we don't charge you for the access and download of our huge still growing database plus we avoid advertisement! That does not mean that it doesn't have a cost to us to make all these exes, long afternoons or nights sometimes etc. Please help us so we keep on doing what we do, you can donate to share your satisfaction to us and we could make more. Our website is protected against big compagnies due to long term release of these games, it is licence-free. No limitation on visits and downloads. Thank you. Wow! Major update of all the .exes, well done. donation heading your way next week when I get paid.. nice early xmas present. Merry xmas... already!! This site is so awesome. Eternaly grateful for all the excellent job that has been done here. you are doing excellent job, but the resolution of the games is too low, thank you for all. This website is awesome. 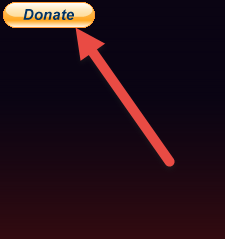 Do you have a Paypal donation address?